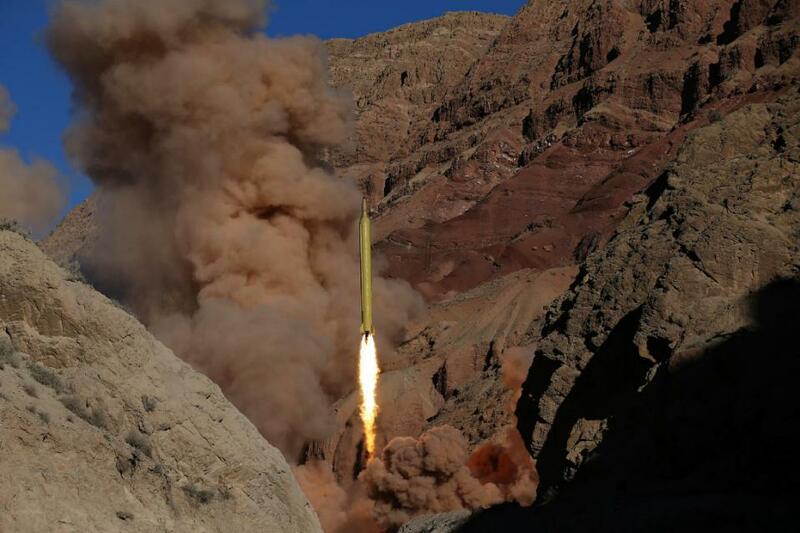 TEHRAN, Iran (AP) — Iran test-fired two ballistic missiles Wednesday with the phrase “Israel must be wiped out” written in Hebrew on them, a show of force by the Islamic Republic as U.S. Vice President Joe Biden visited Israel. The Middle East is a dangerous place. Bibi Netanyahu has called it a, “rough neighborhood.” Our president made a deal with Iran. It was a bad deal and Netanyahu stood before the United Nations, glaring at his constituents and told them so. Now, just a few months after the sanctions were lifted and the Iranians received billions of dollars from our part of the deal, they’re up to their old tricks again. There’s an old saying: A leopard doesn’t change it’s spots. I think it applies to Iran in this instant. I have stated at conferences, radio and TV appearances that we’re never going to change the ideology behind the Mullah’s in Iran. They are rabid in their determination to wipe Israel off the map. This latest antic is telling, as their focus remains unchanged. So where does all this lead us to? Will Iran launch a preemptive strike against Israel? Will they combine forces with Hezbollah and perhaps backed by the Russians, attack Israel? I don’t think it’s a matter of if, but when. Spring is coming and traditionally it is a time when Kings go to war. Then we have the demented Kim Jong Un, in North Korea. While our super Bowl was being played North Korea was busy launching satellites into space. Why should we care? Because the North Koreans now have the capability launch a rocket tipped a nuclear war head which is an EMP—electro magnetic pulse weapon—over our country and thus, essentially put us back into Pre-industrial revolution times. In short, anything with and On and Off switch ceases to work. An EMP would result in the deaths of millions of Americans. In closing today's post: The World is dangerous place and there are those who pose an existential threat to other countries, like Iran and North Korea. The ideology that drives the leaders of Iran and North Korea is set in cerebral concrete. It’s never going to change.